A trip to a small village in the Czech republic recently inspired a thought of ‘why dont they do that in this country?’. We were sat outside in the sunshine sipping our drinks looking out onto a childrens play area next to us. We took our 3 year old daughter with us and that was the first time we could truly relax knowing that she was having fun, we could keep a close eye on her and enjoy the sun and drinks in peace. Coming back to this country I was in search of that same feeling where I could relax and have a drink while my toddler was occupied and having fun too. That’s when I came across the recently opened Dotty Popsy Gift shop, this peaceful nook offers that very same feeling. I sat there with my coffee pot, funky cups and marshmallow while my little one loved to explore the toys ( nice and clean!) in the enclosed play area, keeping her amused and I could relax! 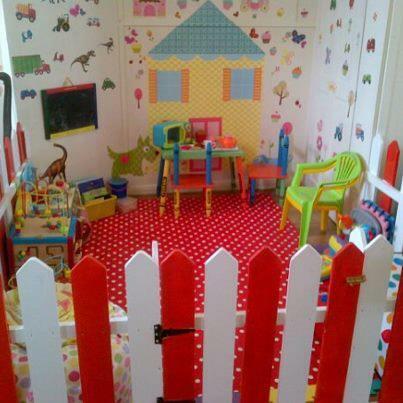 The enclosed play area has a nice selection of toys, that are clean and well looked after. The space is big enough for probably about 4-5 toddlers. It is gated and you can lock it from the outside to keep the little ones in. All seating areas for the coffee shop are in viewing distance of the play area, so you can keep an eye on your little one if you need. Toilet has a toddler seat available, step stool and baby changing mat. Lovely, selection of unique toys, gifts and cards. Prices range to suit different budgets. Baby baskets pre-made or made to order (choose your own contents) from £25. There is Free gift wrapping available and also a Party bag service. DottyPopsy supports local artists selling original paintings/artwork, handmade Tutu’s and chocolates. Food is served all day. There are Kids lunch boxes or kids plates at £3.00. Other menu items range from £2-3.50. Baby food is available, Ellas Kitchen and Hipp Organic and also toddler juice cartons . 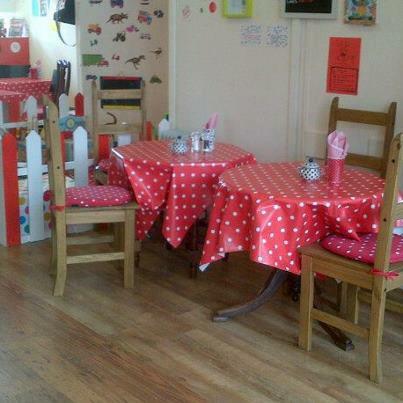 2 high chairs and 2 high chair booster seats are available to use. Breastfeeding mums are welcome. Pay at meter parking. Parking places can be found along Portland Road and I managed to find a place to park. Overall I would say friendly, helpful staff, relaxing atmosphere, nice coffee, lovely gifts and cards, a new gem that’s definitely worth checking out if you have babies and toddlers! 16 Comments: "The Dotty Popsy Gift Shop Review – April 2013"
You ought to be a part of a contest for one of the finest sites on the internet. I most certainly will highly recommend this web site! Hey there! I simply would like to offer you a huge thumbs up for your excellent information you have here on this post. I’ll be returning to your site for more soon. I truly love your site.. Very nice colors & theme. Did you build this amazing site yourself? Please reply back as I’m wanting to create my own site and would love to learn where you got this from or just what the theme is called. Thank you! You can definitely see your enthusiasm in the work you write. The sector hopes for even more passionate writers such as you who aren’t afraid to mention how they believe. All the time follow your heart. Nice The Dotty Popsy Gift Shop Review April 2013 – The Daily Toddler topic you posted about. It’s funny because me and my cousin were just talking about it the other day. Nice The Dotty Popsy Gift Shop Review “ April 2013 – The Daily Toddler topic you posted about. It’s funny because me and my cousin were just talking about it the other day. I might like to retire in San Raphael, France on the Mediterranean Sea. It is so wonderful! I’d also function on learning French since very few men and women there speak English. proportion we be in contact more about your post on AOL? I neesd a specialist on this area to unravel my problem. May be that is you! Having a look ahead tto see you. Magnificent site. Lots of useful info here. I’m sending it to some buddies ans additionally sharing in delicious.